b. 9 Jul 1928 in Blount County, Tennessee. She married Glen Haun. He was born 29 Feb 1929, and died 30 Apr 1999. 400e. i. Glen Allen Haun b. 10 Sep 1953. 400f. ii. Steven Gregg Haun b. 9 Mar 1959.
b. 6 Nov 1929 in Blount County, Tennessee. He died 9 Nov 1996 in Oak Ridge, Anderson County, Tennessee. He married Sarah Joyce Lingenfelter. i.	Katherine Ann Hughes b. 5 Sep 1957.
ii. David Ronald Hughes b. 20 Feb 1959. 400g. iii. John William Hughes b. 26 Feb 1964.
b. 12 Feb 1932 in Blount County, Tennessee. She married 8 Apr 1950, Roy Junior (R. J.) Sing, (son of Roy Houston Sing and Bonnie Kate Sexton). He was born 7 Jul 1928. 400h. i. Gary Lynn Sing b. 28 Nov 1950. 400i. ii. Cynthea Gail Sing b. 4 Dec 1952.
b. 16 Jun 1934 in Blount County, Tennessee. He married Joy Marie Williams. Larry is a twin to Lynn Aileen. i.	Beverly Ann Hughes b. 25 Mar 1956. 400j. ii. Janet Lynn Hughes b. 17 Jun 1962.
iii. Larry Allen Hughes Jr. b. 21 Mar 1965.
b. 16 Jun 1934 in Blount County, Tennessee. She died 1 Mar 2002 in Hillcrest West Nursing Center, Knoxville, Knox County, Tennessee. The funeral was 4 Mar 2002 in Miller Funeral Home, Maryville, Blount County, Tennessee, and she was buried 5 Mar 2002 in Chilhowee Primitive Baptist Church Cemetery, Blount County, Tennessee. Lynn married Sidney Coleman Whitehead. Lynn was a twin to Larry Allen. 400k. i. Coleen Whitehead b. 21 Aug 1953. 400l. ii. Julia Ann Whitehead b. 2 May 1956.
iii. 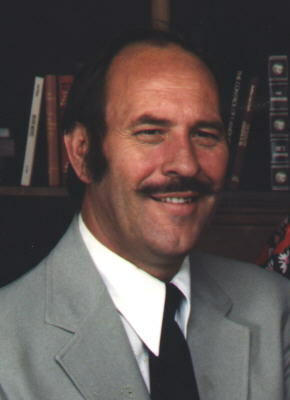 Earl Lee (Butch) Whitehead b. 21 Jun 1957. As of 2002, Butch was living in Santa Monica, California. 400m. iv. John Allen Whitehead b. 14 Jan 1963.
v.	Lisa Burdel Whitehead, b. 24 Nov 1964. She married Mr. Devault. b. 17 Nov 1938 in Blount County, Tennessee. She married Doval Wade. i.	Barbara Ann Wade b. 21 Jul 1958.
b. abt 1935 in Blount County, Tennessee. He married (1) 8 Sep 1952 in Blount County, Tennessee, Barbara Jean Coulter, (daughter of Samuel Eugene Coulter and Pauline Elizabeth Pryor). She was born 10 Feb 1940 in Blount County, Tennessee. He married (2) Genevieve Erisman (daughter of Harold Erisman and Viola (Erisman)). Genevieve died 1 Apr 1997 in Blount County, Tennessee, and the funeral was 3 Apr 1997 in Pleasant Grove Baptist Church, Blount County, Tennessee. She was buried 3 Apr 1997 in Pleasant Grove Baptist Church Cemetery, Blount County, Tennessee. Genevieve had been an associate professor in food science and technology at the University of Tennessee since 1986 and formerly was a faculty member at the University of Georgia. In 1995, she was the first female recipient of the National Milk Industry Teaching Award for outstanding teaching in the dairy foods area which was presented by the American Dairy Science Association. Everett served as coach of the UT Collegiate Dairy Products Judging Team which competed on the national level and received numerous awards under her leadership. She held offices in many professional organizations including: the Institute of Food Technologists, International Association of Milk, Food and Environmental Sanitarians; Tennessee Association of Milk, Water and Food Federation; and the American Dairy Science Association. She was a member of several honor societies including Alpha Zeta, Gamma Sigma Delta, Sigma Alpha and Sigma Xi. She was the recipient of a number of outstanding teaching awards in food science and technology at UT. Everett, who has authored numerous research documents and textbook chapters in the dairy science field, received her B.S., M.S. and Ph.D. from the University of Missouri - Columbia. i.	Amy Everett b. in Blount County, Tennessee. ii. Bryan Everett b. in Blount County, Tennessee. b. in Blount County, Tennessee. He married 25 Mar 1966 in Blount County, Tennessee, Bertha Kay Stafford, (daughter of Edwin Samuel Stafford and Dorotha Verna McCammon). She was born 9 Mar 1947 in Blount County, Tennessee. William is an auctioneer. Bertha does office work. i	William Lynn Everett b. 25 Apr 1967, Blount County, Tennessee. He married 15 Aug 1992 in Eusebia Presbyterian Church Cemetery, Prospect, Blount County, Tennessee, Mary Kathryn Jones. ii	Max Edwin Everett b. 12 Aug 1972, Blount County, Tennessee. He married Angie (Everett). b. 25 Apr 1928. She married 29 Dec 1950, Ray Glendon Davenport, (son of Charles Jerone Davenport and Mamie Viola (Davenport)). He was born 22 Feb 1929.
i.	Deborah Rae Davenport b. 23 Dec 1953.
ii. Kathy Lynn Davenport b. 10 Dec 1955.
b. 27 Feb 1933. She married 17 Apr 1964, Edward Davis North, (son of Howard Davis North and Hazel Orlean Journey). He was born 11 Feb 1935.
i.	Robert Murray North b. 28 Nov 1950. He married 31 Jul 1971, Theresa Joe Clemons. She was born 24 Nov 1953 in Blount County, Tennessee. 401. ii. William Dennis North b. 9 May 1952.
iii. Cynthia Dianne North b. 2 Oct 1953.
iv. Kenneth Alan North b. 16 Jun 1956.
v.	Laurie Ann North b. 25 Jan 1968.
vi. Edward Davis North Jr. b. 10 Oct 1969.
b. 10 Aug 1935. 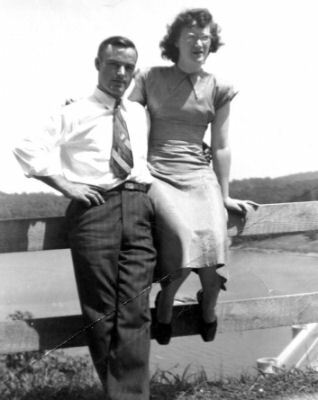 He married 9 Aug 1952, Betty Ann Worrall, (daughter of Robert Earl Worrall and Mary Elizabeth Knox). She was born 28 Mar 1937.
i.	John Love Murray, Jr. b. 13 Jul 1953.
ii. Cheryl Ann Murray b. 8 Jan 1957.
b. 17 Nov 1940 in Blount County, Tennessee. He married 13 Jun 1964, Linda Witherspoon, (daughter of Kenneth Witherspoon and Ellen Allen). She was born 19 Nov 1940.
i.	Linley Michelle Law b. 7 Aug 1970.
b. 15 Nov 1931 in Blount County, Tennessee. He died 4 Sep 1992 in Knoxville, Knox County, Tennessee, and was buried in Grandview Cemetery, Maryville, Blount County, Tennessee. He married (1) 23 Apr 1955 in Blount County, Tennessee, Jackie Sue Teffeteller, (daughter of Elmer (Shorty) Teffeteller and Thelma Hall). She was born 16 Jan 1938 in Blount County, Tennessee, and died 10 Sep 2004 in Blount Memorial Hospital, Maryville, Blount County, Tennessee. 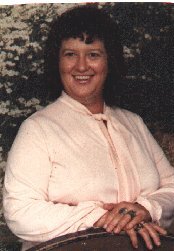 The funeral was 13 Sep 2004 in Miller Funeral Home, Maryville, Blount County, Tennessee, and Jackie was buried 14 Sep 2004 in Grandview Mausoleum Chapel, Grandview Cemetery, Maryville, Blount County, Tennessee. Charles married (2) 21 Dec 1972, Margarette Mae Sellers, (daughter of Ike K. Sellers and Marjorie Lucille Gardner). She was born 15 Feb 1930 in Blount County, Tennessee, and died 22 Jan 1988 in Blount County, Tennessee. Margarette was buried in Clark's Grove Cumberland Presbyterian Church Cemetery, Maryville, Blount County, Tennessee. Charles married (3) Ruth Chapman. He married (4) 1 Dec 1988 in Blount County, Tennessee, Carrie L. Henshaw Swiney, (daughter of William Golden Henshaw and Georgie Marie Wright). She was born 26 Jul 1933, and died 3 Aug 2006 in Blount County, Tennessee. The funeral was 7 Aug 2006 in Memorial Funeral Home, Maryville, Blount County, Tennessee, and she was buried 8 Aug 2006 in Fellowship Cemetery, Blount County, Tennessee. i.	Charles (Chuck) Elmer Nuchols b. 7 Mar 1956 in Blount County, Tennessee. He married 23 Dec 1975 in Blount County, Tennessee, Wilma June Teffeteller. ii. Kathi Susan Nuchols b. 23 Jun 1957 in Blount County, Tennessee. She married Greg Kirkland. 401b. iii. Mark Scott Nuchols b. 5 Sep 1961.
b. 22 Dec 1933 in Blount County, Tennessee. He died 14 Jan 1994 in Blount County, Tennessee, and was buried 16 Jan 1994 in Grandview Cemetery, Maryville, Blount County, Tennessee. He married 1 Aug 1958, Doris Elosie Hearon, (daughter of Charlie Washington Hearon and Zettie Correll). She was 12 May 1937. 402. i. Rita Diane Nuchols b. 13 Apr 1963.
ii. William Craig Nuchols b. 19 Jan 1967 in Blount County, Tennessee. He married Jul 1992 in Albuquerque, Bernalillo County, New Mexico, Cynthia Lee Felden. She was born b. 23 Aug 1951.
b. 1 Jun 1939 in Blount County, Tennessee. He married 26 Nov 1960 in Blount County, Tennessee, Myrtle Ann Gibbs, (daughter of Oscar Theodore Gibbs and Essie Reagan). She was born 16 Dec 1939.
i.	Melissa Dawn Nuchols b. 25 Oct 1963 in Blount County, Tennessee. She married abt 1985 in Knox County, Tennessee, Charlie Bernard Alexander, (son of Paul Alexander and Roxie Lee Goodson). He was born 5 Oct 1954 in Blount County, Tennessee. 403. ii. Christopher Dale Nuchols b. 1 Mar 1974.
b. 5 Jun 1942 in Blount County, Tennessee. She married (1) 18 Jul 1960, Frank (Tootie) Lee Campbell, (son of Rafe Melbor Campbelll and Anna Mae Combus). He was born 24 Feb 1943. Phylis married (2) Bruce Vinjie. i.	Jeffrey Lee Campbell b. 31 Mar 1962.
ii. Tracie Ann Campbell b. 2 Apr 1965 in Hennepin County, Minnesota. b. 16 Nov 1937 in Maryville, Blount County, Tennessee. He married 29 Oct 1956, in Chatsworth, Murray County, Georgia, Juanita Flurenzs Dixon, (daughter of Dewey Thomas Dixon and Naomi Malendia Lee). She was born 9 Feb 1940, Maryville, Blount County, Tennessee. She died 10 Mar 2014 in Knoxville, Knox County Tennessee. Her funeral was held 12 Mar 2014 at Memorial Funeral Home, Maryville, Blount County, Tennessee and she was entombed 13 Mar 2014 at Grandview Cemetery and Mausoleum in Maryville, Blount County, Tennessee. Bob was a high school football star, receiving scholarships to colleges, but chose not to go. He instead married, and started a family, though wishing many times that he had went on to college. As times were rough in 1956 and 1957, he worked at several jobs, before starting barber college, and continued several jobs while he was there. Upon graduation, he barbered for several years, until the time came, that long hair became the fashion. Realizing that he had to do something else, he started working at Alcoa Alumumin Company, and truck driving on the side. He then later started driving coach for charter companies, and moved up to the job of driving for Bill Monroe and The Bluegrass Boys. He was later disabled at Alcoa, due to vibration disease, and had to quit driving professionally. While growing up in church, Bob developed a rich bass voice. One of the old time deacons at Old Piney Baptist Church said that "Bobby" could hit a low note and hold it, and the church windows would begin to rattle. He later sang with The Twin Oak Quartet, and preached for several years. Juanita, a descendant of the Eastern Band of the Cherokee Indians, worked many years at Levis, a clothes manufacturer. After leaving there, she worked at several other sewing factories, and later became Union Stewart at D.G. Trim, in Alcoa, Tennessee. 404. i. Robert Dewey (Bob) Nuchols b. 14 Jul 1957. 405. ii. Larry Glen Nuchols b. 14 Jun 1958.
iii. Terry Lynn Nuchols b. 14 Jun 1958, Marion, Marion County, Ohio. Twin to Larry. 406. iv. Ronda Jeanette Nuchols b. 28 Jul 1960. 407. v. Grace Elisha Nuchols b. 23 May 1963.
b. 4 Mar 1940 in Blount County, Tennessee. He died 16 May 2000 in Colonial Hills Nursing Home, Maryville, Blount County, Tennessee, and the funeral was 18 May 2000 Faithway Fellowship Church, Blount County, Tennessee. He married (1) 10 Feb 1960, Gladys Fay Teffeteller, (daughter of Roy Q. Teffeteller and Bessie May Young). She was born 20 Jul 1941 in Blount County, Tennessee. Ferris married (2) abt 1980 in Vinton, Calcasieu Parish, Louisana, Doris Theright. She was born in Louisiana. He married (3) 13 Jun 1983 in Blount County, Tennessee, Bertie C. (Nuchols). Ferris married (4) 23 May 1987 in Loudon County, Tennessee, Nancy Jane Cameron Blair. She was born in Blount County, Tennessee. 408. i. Michael Roy Nuchols b. 4 Jan 1961. 409. ii. Benny Ray Nuchols b. 3 Jun 1965. 409a. iii. Anthony Scott Nuchols b. 3 Jun 1965.
b. 14 Jul 1942 in Blount County, Tennessee. She married 1 Feb 1960 in Blount County, Tennessee, Alvin Lamar (Molly) Stinnett, (son of William Edgar Stinnett and Blanche Corrine Shelton). He was born 30 Aug 1933 in Blount County, Tennessee, and died 11 Nov 2009 in Blount Memorial Hospital, Maryville, Blount County, Tennessee. The funeral was 14 Nov 2009 in Memorial Funeral Home, Maryville, Blount County, Tennessee, and Lamar was buried 15 Nov 2009 in Grandview Cemetery, Maryville, Blount County, Tennessee. 410. i. Robert (Robbie) Lamar Stinnett b. 13 Jan 1961. 411. ii. Daniel (Danny) Edward Stinnett b. 8 Oct 1962. 412. iii. Jama Ruth Stinnett b. 4 May 1973.
b. 2 Mar 1945 in Blount County, Tennessee. He married (1) 26 Jun 1965, in Blount County, Tennessee, Helen Marie Owens, (daughter of Lloyd George Owens and Geneva Louise Graves). She was born 3 Jul 1946 in Blount County, Tennessee. Merle married (2) 25 Feb 1998 in Sevier County, Tennessee, Marsella Lea (Marcy) Dunlap, (daughter of William Paul Dunlap and Margaret Callie White). He married (3) 29 Mar 1985, in Clinton, Anderson County, Tennessee, Bobbie Joe Cameron. She was born 6 Jun 1945 in Blount County, Tennessee. Merle married (4) 2 May 1999 in Knox County, Tennessee, Dallas Diona Goad, (daughter of Clifford Goad and Dallas Armes). She was born 15 Sep 1950. 412a i. Donna Kay Nuchols b. 26 Jul 1969. 412b ii. Roger Eldon Nuchols b. 3 Jan 1973. 412c iii. Lisa Carol Nuchols b. abt 1978.
b. 5 Aug 1946 in Blount County, Tennessee. She married (1) 26 Jun 1965 in Blount County, Tennessee, William Frank Effler, (son of Henry Harrison Effler and Amanda Florence Ogle). He was born 9 Nov 1943 in Blount County, Tennessee. Tootsie married (2) 28 Jul 1986, in Sevier County, Tennessee, Roger Dale Breazeale, (son of Robert Ogle Breazeale and Verl E. Stinnett). He was born 27 Mar 1951 in Blount County, Tennessee. i. Timothy William Effler b. 24 Jan 1967 in Blount County, Tennessee. He married in November 1995, in Knoxville,Knox County, Tennessee, Shannon Whaley. b. 29 Sep 1956 in Blount County, Tennessee. He married 3 Dec 1979, in Knoxville, Knox County, Tennessee, Sharon Gail Dukes, (daughter of Virgil Dukes and Shirley McBee). She was born 25 Sep 1963, Knoxville, Knox County, Tennessee. 412d i. Bertica Michelle Nuchols b. 21 Feb 1979. 412e ii. James Wesley Nuchols b. 23 Aug 1985.